Catharine Morgan (1824-1838) was the daughter of Calvin Cogswell Morgan, a wealthy merchant in Knoxville. Although there were female academies in Knoxville, her parents chose to send her to Franklin to go to school. 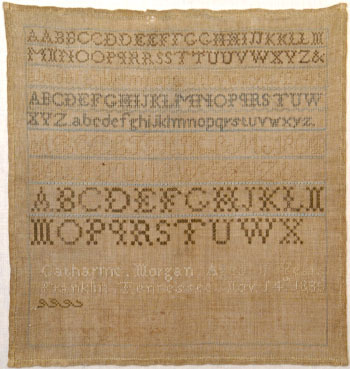 Catharine died at the age of fourteen, just three years after making her sampler. 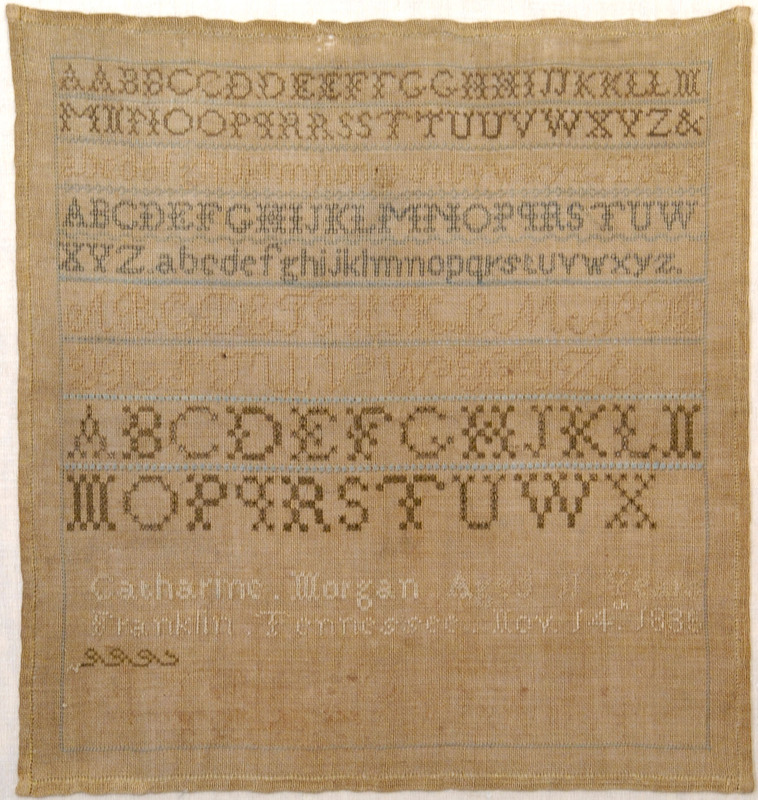 Catharines sampler includes cross, eyelet, four-sided, hem, queen, and rice stitches. She was especially proficient at queen stitch, and worked both vertical and horizontal versions in the dividing bands.